THE City Council approved during its last session an ordinance setting the third week of the month of April every year as the Bacolod City Football Festival Week. The “Bacolod City Football Festival Week” ordinance is authored by Councilor Claudio Jesus Puentevella and co-authored by Councilor Ana Marie Palermo. 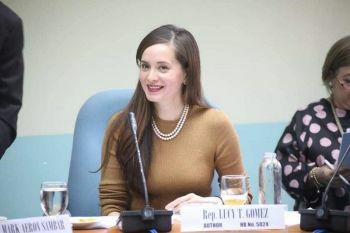 It provides for the creation of a committee composed of the City Mayor’s Office, the Sangguniang Panlungsod chairperson of the committee on sports, and other concerned offices and agencies that will plan and oversee the implementation of the ordinance. Puentevella said that aside from promoting physical education and other sports-related programs as mandated by the 1987 Philippine Constitution, the ordinance aims to expose football as one of the most popular sports in the world and as a rising event in the Philippines, particularly in Bacolod City. He added that Bacolod is known to produce football champions and mentioned the recent success of the Ceres-La Salle FC. “They are among those who propel and strengthen football not only in the city but in the whole country,” Puentevella said.